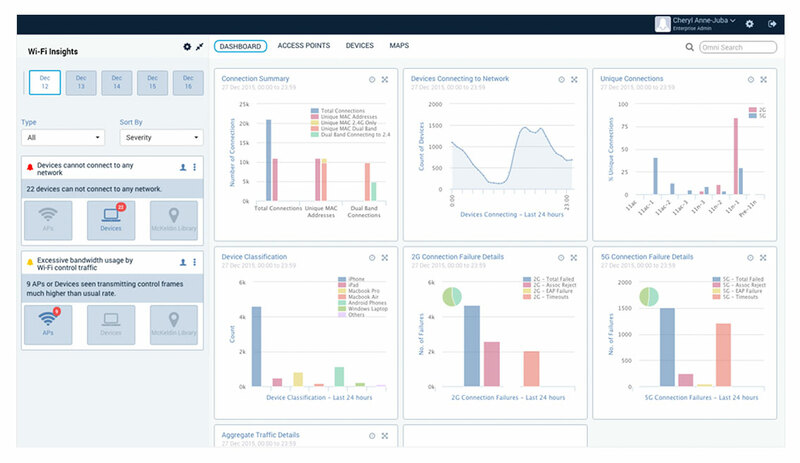 The client, a Silicon Valley based network performance management startup, wanted to develop a solution that could improve the operation of wireless networks through cloud based analytics and data science. 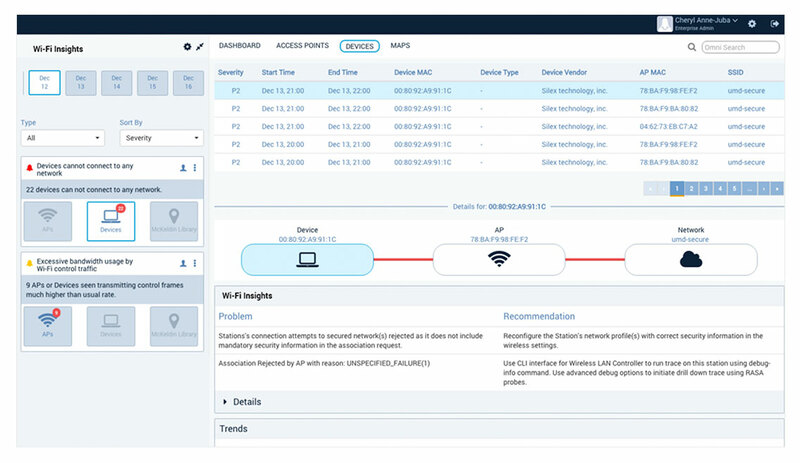 The solution aimed to not only enable an inventory of Wi-Fi clients, capabilities and location, present real-time geo-location enabled Wi-Fi client mapping, and monitor Wi-Fi networks and flows between clients and APs, but also analyze in real-time operational flows, faults and performance to generate insights that could reduce connectivity issues. Additionally, the solution was expected to analyze these insights, share recommendations for solutions, and even self-heal Wi-Fi networks. Zymr was selected as a technology partner to build this solution due its deep domain expertise in Wi-Fi networking, SDN, and big-data analytics. Zymr provided full-stack CloudTech SDN solutioning to develop Aruba/Rasa’s Wi-Fi cloud-controller for providing real-time analytics using Wi-Fi probes. the client had defined a multi-tiered implementation architecture comprising 4 tiers. Enabled cloud-based Wi-Fi analytics service for multi-tenancy and locational hierarchy of campus, building, floor and zone. Zymr worked with the client to develop a common management ontology with DMTF CIM model and other DMTF profiles as the guides, but the final implementation has not kept up with the syntactic object models. 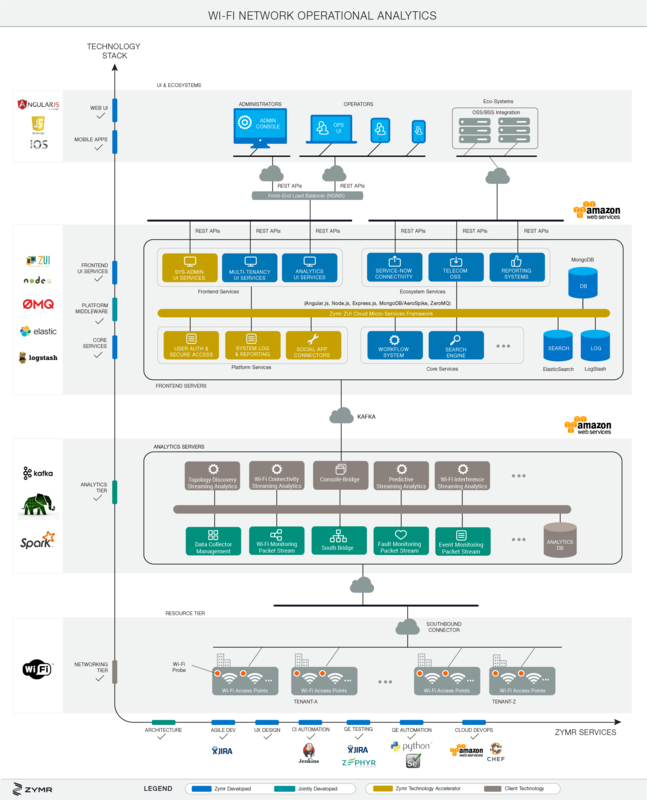 The Zymr team worked with the client to develop an analysis framework using Hadoop infrastructure. 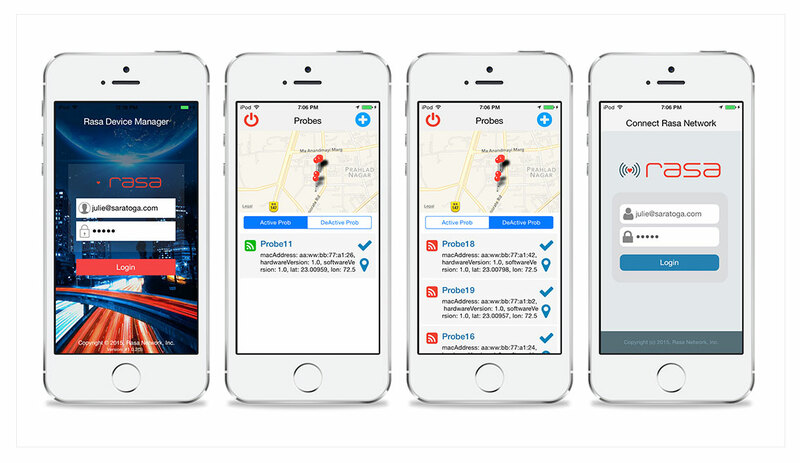 RBAC and Web UI, with prototype iOS mobile apps. The Zymr team developed comprehensive fault, system and audit logging. Zymr developed a Jenkins and GitFlow based CI process with nightly builds, automated unit-testing and system testing, code-reviews and regression testing. Git was used as a repository. Zymr developed a comprehensive test plan for portions of the system for which it was responsible, such as FCAPS, Analytics and Correlations of faults, etc. Zymr developed parts of the automated testing, primarily using Python, and enabled integration with the client’s automation framework that was build using TestNG and Selenium. Zymr worked with the client for the DevOps plan on Amazon AWS to create test, staging and production cloud deployment. Zymr automated push of new builds and instantiation using Chef. 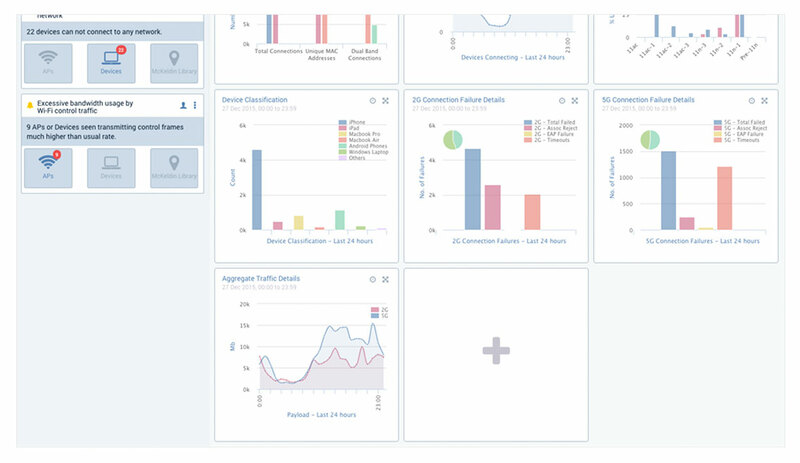 Zymr’s contributions led to the development of a cloud-based multi-tenant wireless network management and orchestration solution, with a visualization tier comprising secure admin console and mobile apps. 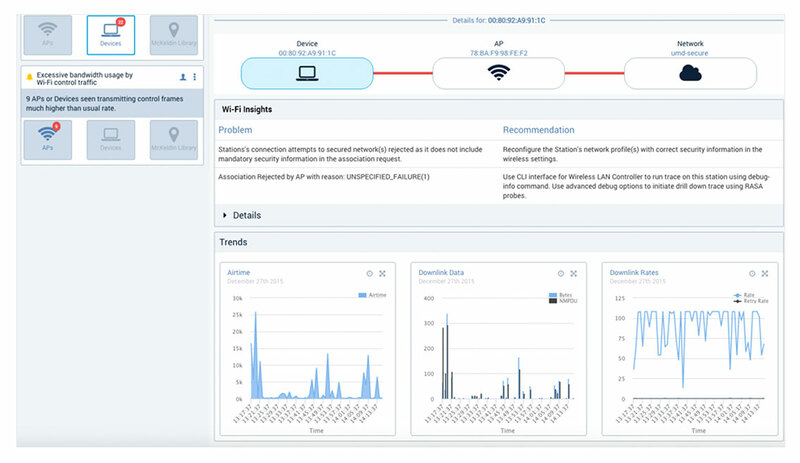 The solution gathers operational data from Wi-Fi network elements in real-time through sensors and analyzes it for operational intelligence that is actionable. The client was subsequently acquired by a market leader in enterprise wireless network access solutions.